Children crowded around the U.S. actress as she spoke in a patch of muddy space between hundreds of rows of caravans in the desert camp of Zaatari, less than an hour’s drive from the Syrian border. It was Jolie’s fifth visit to Jordan. 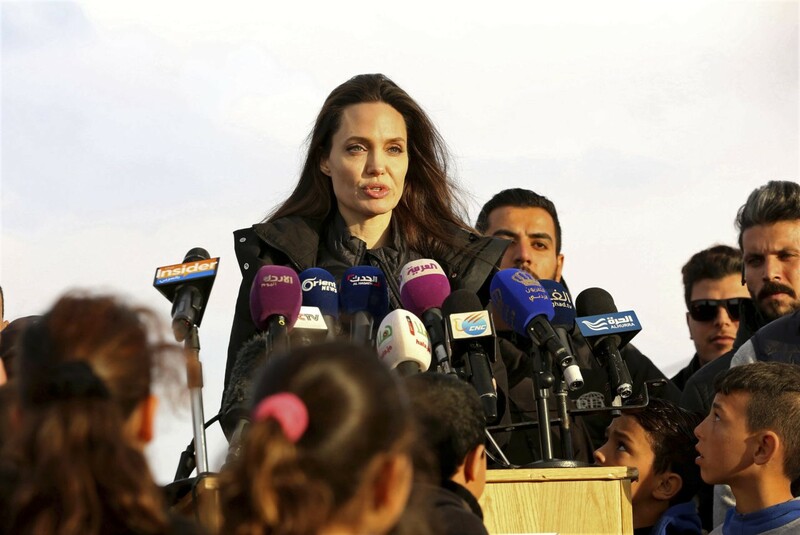 “It is heartbreaking to return to Jordan and witness the levels of hardship and trauma among Syrian refugees as this war enters its eighth year,” Jolie said after meeting refugee families and teenage girls in a U.N.-run community program. “I’m very proud. You’re very strong, all of you,” Jolie, a special envoy for the U.N. refugee agency, told them. Nearly 5.5 million displaced Syrians are hosted by Jordan, Lebanon and other neighboring countries. She said the U.N. refugee agency received only half the requested funding for the Syria crisis last year and only 7 percent so far this year. “Humanitarian aid is not a long-term solution. No one wants to get off aid more than a Syrian family,” Jolie said. “A viable political settlement is the only way to create the conditions for Syrians to be able to return to their homes, to end the human suffering and the strain on host countries,” she added. Jordan hosts more than 650,000 registered Syrian refugees, according to the U.N. refugee agency. More than 78,000 live in Zaatari.